Carbs Is the Body’s Main Energy Source. Myth or Truth? What Happens If You Do Not Consume Enough Carbohydrates? What Happens If You Cut Out Carbs Entirely From Your Diet? What Happens If You Eat Too Much Carbs? How Does Glucose Affect Memory? 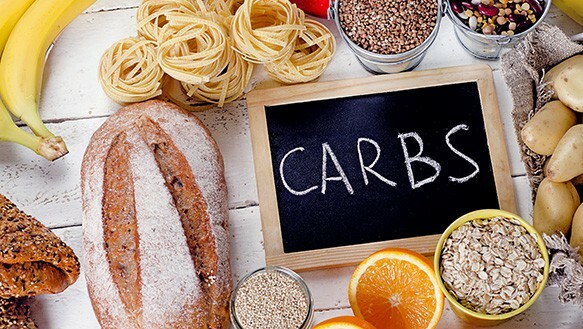 How Much Carbs Should You Consume Per Day? Are Low-Carb Diet and Ketogenic Diet the Same Thing? How Does Low-Carb Diets Compare to Low-Fat Diets? Why is Low-Carb Diet More Effective? Who Should Follow a Low-Carb Diet? What Should Diabetes Individuals Know Before Beginning a Low-Carb Diet? Carbohydrates are sugar molecules that can be digested by the body to produce glucose. It includes all starches, sugars, and fibers that can be found in various food sources such as fruits, legumes, vegetables, grains, and dairy products. Along with fats and proteins, carbohydrates is classified as one of the macronutrients that the body must attain through food consumption. Carbs basically provides fuel to run the body. For many individuals who are trying to calculate how many calories they burn throughout the day, they often mistake the fact that calories are only used when they engage in physical activities. This assumption is wrong. The body is constantly using energy to keep the heart pumping, digesting food, regulating breathing, regulating body temperature, and managing the hormones at optimal level. It also directly influences the central nervous system and the brain functioning. It plays a crucial part in influencing memory formation, decision-making, mood fluctuation, alertness, and neural impulse relays. Carbohydrates is often labeled as the main energy source for the human body. It is not exactly true. The human body is capable of deriving glucose from fat and protein. However, it is most convenient and “cost-efficient” for the body to produce energy from carbohydrates. Unlike fat and protein, carbohydrates can be easily metabolize into glucose along the digestive tract and released into the bloodstream as immediate energy for other organs. If there is an excess amount of glucose, it will be stored in the muscles and liver as glycogen. According to the Iowa State University medical research, the average human body can conserve up to about 2,000 calories of glycogen in the liver and skeletal muscles. It is only when the glycogen capacity reach its maximum will carbs be changed to fat for storing in the adipose tissues. Each organ has its own unique way of producing and using energy. When it comes to the brain, because of its unique blood-brain barrier feature and its inability to store excess fuel, it requires a continuous glucose supply in order to sustain all activities. It has been estimated that an average brain consumes about 420 kcal (about 120 g of glucose) throughout the day. This accounts for 60 to 70% of total glucose consumption by the whole body during resting mode. The only time it will use other energy source is when the body is placed under long duration of starvation. Under starvation mode, the body will break down body fat and muscle tissues to provide glucose for the brain. Eventually, it will use the ketone bodies made by the liver. If the individual does not have diabetes or other metabolism-related health problems, they should be fine as long as they take in some carbohydrate to treat the low blood sugar level. For individuals who decide to lower their carbohydrate intake, their bodies may exhibit symptoms similar to hypoglycemia to a certain degree. In a short duration of time, these symptoms may even get worse for several weeks until the bodies adjust to the new sugar intake level. The body requires protein for cell growth and tissue repair purposes. Under balanced diet situation, protein supplies about 10 to 15% of the total dietary fuel source. However, under a strict low-carb diet, the body will be forced to use a majority amount to produce energy for sustaining all bodily functions. As a result, there will be not enough protein to grow new cells and repair tissues. Consequently, wounds and injuries may take longer amount of time to heal. Individuals who are trying to lose weight through low-carb diet and intensive cardio exercise may eventually hit the wall where they are faced with constant muscle fatigue and slower recuperation rate. Proteins serve an important role maintaining bone mass and growth. In a sense, it is the determining factor in calcium phosphate metabolism needed for bone formation. If proteins are constantly used up for energy source, it can eventually affect bone growth. Over time, it can lead to lower bone mass. In extreme cases, it may even lead to osteoporosis. So what happens when a person cuts out their carbohydrate intake? When faced with a severe carbohydrate depletion, the body will go into starvation state. At first, the body will utilize the stored glycogen in the liver. After the source is exhausted, the body will start to break down fat and muscle cells for energy source. In the process of turning fat into usable fuel, the liver will produce large amount of ketone bodies that will be released into the bloodstream. This starvation mode is sometimes referred to as ketogenic stage. Under this circumstances, the brain will start to use the ketones as energy source while curbing the hunger sensation. For dieters, this is when they experience rapid weight loss and fat loss. When this stage is prolonged, high amounts of ketone will be accumulated in the body (0.5-5 mM). Consequently, it may trigger a condition called nutritional ketosis. This is usually the time when dieters begin to experience various symptoms. When it comes to these trendy diets, most people rave about the quick results. But what many of these health gurus do not tell you about is the side effects of cutting out carbs. Before jumping on the bandwagon, you should know about the list of symptoms you may experience. For all these symptoms, some of them are temporary and will clear up as soon as the body adjust to the new diet. For others, taking mineral and vitamin supplements may minimize or cure the problem. But for certain side effects, they are here to stay. In a sense, these are what we call the “fight or flight” responses. Science studies have found that individuals under this situation are much more likely to engage in aggression and violent behavior. Increase your protein intake. The main reason why you are irritable is that you are not taking in enough calories. By eating more proteins, your body will be able to create fuel without needing to trigger the starvation mode and breaking down body cells for energy source. Adjust your carb intake. Instead of jumping into the new regimen, lower your carb intake gradually in several stages. Although the result will be less obvious, it will allow your body to better adapt to the new diet and experience less of the side effects. Additionally, you will be less likely to abandon the new habit due to sudden binge eating. For some professionals, they call these conditions the “induction flu” symptoms. These flu-like side effects tend to be the most severe within the first week of the diet change as the body has not adjusted to the new change. At the same time, the ketone bodies tend to trigger frequent urination (the body usually rids of these waste products to avoid buildup). Due to dehydration and electrolyte imbalance, the symptoms can become worse. Make sure you are taking in enough salt content to minimize electrolyte imbalance. An easy solution is to drink some broth every day. If you are experiencing a sudden case of severe headaches and feeling nausea, try adding a teaspoon of salt into a glass of water. Drink it slowly and it may minimize the side effects in about 15 to 30 minutes. Eat food with higher fat content. The combination of going low fat and low carb will quickly launch your body into starvation mode. Plus consuming food with higher fat content will allow you feel full for longer time. Having said that, if losing weight and losing fat are your highest priority, you should choose food with better fat content. For example, seafood such as salmon, sardines, and shellfish are rich in omega-3 and contain many minerals to alleviate the symptoms. When you do not eat enough sugar, your blood glucose level can drop and cause extreme headaches. In the beginning weeks of starting a low carbohydrate diet, you may experience headaches on a daily basis. The severity can increase until your body adjusts to the new changes. Increase water and mineral intake. Believe it or not, those splitting headaches are usually caused by dehydration and electrolyte imbalance due to frequent urination and decrease in mineral intake. Slightly increase your carb intake. If drinking more water and balancing your electrolyte does not help, taking in a little more starchy food can make these head splitting headaches stop. No matter how hot the room is, you cannot keep yourself from shivering and feeling cold. This problem has to do with your faulty internal body temperature as a result of underactive thyroid production. Aside from playing a crucial role in powering the brain to regulate the endocrine system, glucose is also the building blocks of the thyroid stimulating hormone (TSH). So when there is insufficient amount of glucose in the body or the body is in ketosis state, there will be also a lack of TSH to stimulate the production and release of thyroid hormone. Consequently, you will feel cold, sluggish, and tired. Gradually lower your carb intake to allow your body adjust to the diet. When you change your diet in gradual steps, your body will have a better opportunity to transition without experiencing these side effects. 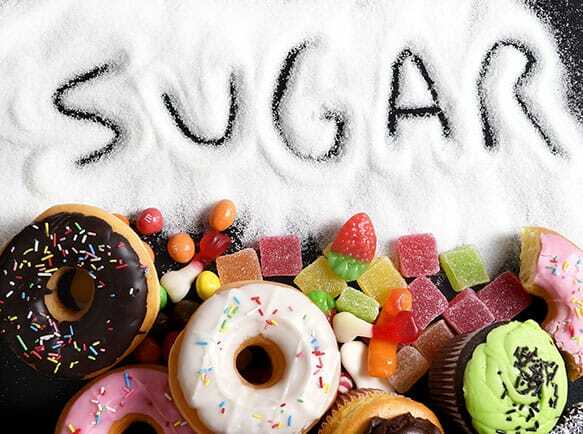 Keep sugar intake to above minimal recommended daily carb intake dosage. By avoiding ketosis and kicking your body into starvation mode, your endocrine system will be less likely to trigger the “fight or flight” response. If you have read through some of the newest low-carb diet plans, some of them such as the Atkins Diet have called for minimal fruit and vegetable consumption. Why? Because fiber is a source of carbohydrate. If you are using the low-carb diet to lose a few pounds, skipping vegetables and fruits for several days to a week may not cause any significant health problems. But if you consistently omit fibers from your diet, you are very likely to experience constipation. In more extreme cases, you may experience constant stomach cramps and even intestinal blockage. In addition, frequent urination can trigger dehydration. As there is much less fluid in the colon, you can expect much dryer and harder excretion. Increase fluid consumption. This will allow the body to replenish the water source in the colon so that the waste content will be less dry and easier to pass through. Eat vegetables that contains minimal starch content. Darker green vegetables such as broccoli, kale, and collard greens are excellent choices. Salad greens are also great options as they are often labeled as “negative calories food items”. Add low-carb fiber to your diet. Psyllium seed husks is an excellent choice to increase fiber intake without needing to worry about your sugar intake. Metamucil is one of the most well-known brand on the market. Use milk of magnesia or take in some olive oil to relieve constipation symptoms. Ketone bodies tend to give off a fruity and nail polish remover smell. So when the body accumulates increasing amount of this waste product in the fat-burning process, you can expect your breath to get worse. For some people, this problem may go away within several weeks when the body adapts to the new ketone level. But for others, this leaking of ketone through breath and sweat will not go away until the ketone bodies count drops. Sip water throughout the day to minimize the bacteria buildup in mouth. Even though the ketone smell comes from the lungs, mixing oral bacterial smell along with the fruity smell will make the odor worse. Use breath freshener to mask the smell until the odor fades off. Reduce ketosis and the smell will decrease significantly. It has been found that about 50 to 70 grams of carb intake per day is sufficient to get your body out of ketosis state. As the brain requires a constant source of glucose to function properly, consuming too little carbs can affect brain functioning. You may become more forgetful, take longer time to form your thinking, and find it hard to communicate or say the right words. No matter how hard you try to focus, your mind is hazy and bogged down. Increase fat consumption. Unsaturated oils such as MCT oil is a great way to help your brain combat against brain fog. Taking B12, B6, and folate supplements will help alleviate the symptoms and boost your brain power. It is especially crucial for individuals who engage in a low-carb vegetarian or vegan diet. Eat foods that are loaded with omega-3 fatty acids. Keep your daily routine as simple as possible. Stress can make your symptoms worse. By lowering your cortisol level, you may find that you will feel more focused. Engage in some cardio exercise when you feel like your head is in the cloud. By getting your blood pumping, you can instantly feel more energized and awake. Give yourself daily head massages to increase blood circulation to your head. It can not only lower your stress level but also allow more oxygen and nutrient to be carried to your brain. As mentioned earlier, when protein is replaced for energy production, the body is depleted of protein source for muscle growth and repair. 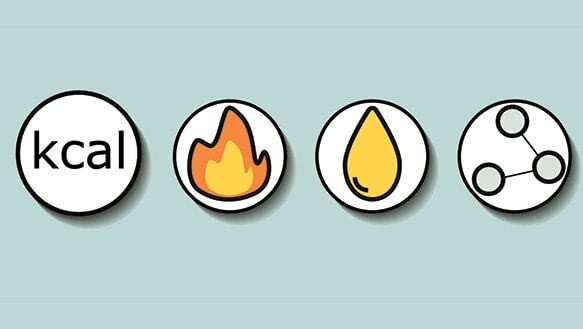 Even though you can survive without carbohydrates, you are simply burning the candle at both ends. Consequently, you are very likely to suffer from general muscle weakness and fatigue. Another reason why you may constantly feel tired is that your adrenal glands are overworked from releasing high levels of cortisol constantly under starvation mode. Combined with vigorous exercise routines and busy working schedule, you are likely to feel frazzled at some point of your low-carb diet. Take everything in moderation and ease into new habits. Even if your adrenal glands are not overworking, making all these drastic changes can be a huge psychological stress burden. Ease up on your physical activities to lower the stress on your body. Test your hormone levels. By checking how well your endocrine system is working, your doctor and nutritionist can help you fine tune your diet plans to give you better results with less side effects. Increase your carbohydrate intake. If you find that your endocrine system is severely malfunctioning, adding some healthy carbs can increase GABA hormone (calming hormone) production and lower cortisol hormone (stress hormone). Get more sleep. 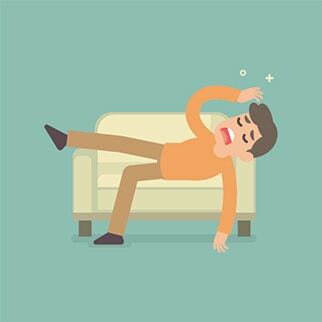 Just having enough sleep can radically decrease your cortisol level and combat against fatigue. Simplify your life. By eliminating additional stress factors in your life, you will see a great change in your overall well-being. Heart palpitations is common because the heart is beating a little faster and harder in face of the blood glucose level and the dehydration state. In order to compensate for the lesser circulating blood volume in the body, the heart must work harder to maintain optimal blood pressure. Another reason why you may experience heart palpitation is because of the extra stress hormones secreted in the bloodstream. The extra cortisol triggers the body to react in the “fight or flight” manner. Increase slightly-salted fluid consumption. Broth, Gatorade, or even water with a little bit of salt added can greatly alleviate the side effect. 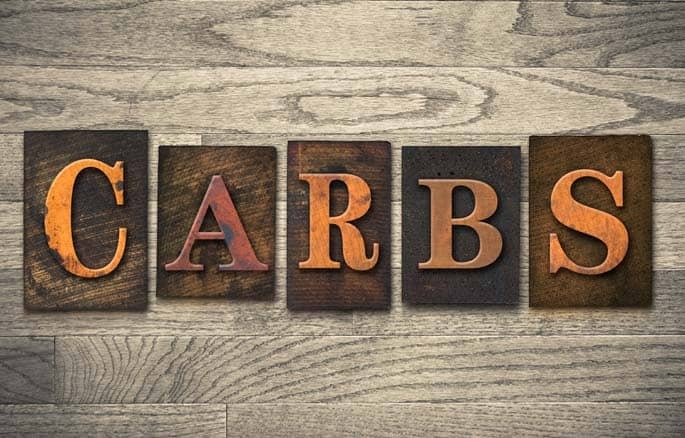 Slightly increase your carb intake to avoid hypoglycemia and ketosis. When you embark on a low-carb diet, you can expect your endurance and performance to be lower than your pre-diet measurements. Aside from mineral imbalance and dehydration, your body is put into survival mode to transition from burning sugar to burning protein and fat for energy. And depending on how drastic you are lowering your carb intake and your fat reserve, your body may break down some of your muscle cells for fuel source. So in a sense, your muscles are damaged in this phase. Save your carb consumption before your workout will allow you to get an instant energy boost. And after a workout, have some protein and carbs to help repair your muscle cells and replenish your energy to avoid hypoglycemia. Increase your fat intake. Sport medicine research studies have shown that a higher fat low-carb diet is an extremely effective way to lose weight and improve physical performance. Choose healthier fatty foods such as salmon, sardines, nuts, and olive oil. They can help provide lots of nutrients and allow your body to utilize protein for repair and growth purposes. Ease up on the exercise when you first begin your new diet routine. Your body requires time to adjust to the new changes. Straining to keep up with your training can lead to injuries and slow recoveries. Consume food that is rich in L-arginine amino acids or supplements. It is known as a vasodilator and will help stimulate blood flow to the muscle cells so that more oxygen and nutrients will be pumped to the target areas. It also double duty as an antioxidant to speed up the cell turnover and repair process. This problem has mostly to do with the loss of magnesium in the body due to frequent urination. Other times, dehydration and long duration of sitting can increase the chance of leg cramps. Incorporate a little more salt in your diet to increase your magnesium level. Choose foods that are high in magnesium. Dark, leafy greens, quinoa, almonds, peanuts, and edamame are all great choices as they are also high in other nutrients. Take 3 slow-releasing magnesium tablet supplement for the first 20 days, then lower the dosage to 1 tablet each day. Bloating and being gassy often goes hand-in-hand with the constipation problem. Without enough fiber in diet, all the waste products will be clogged up in the intestines. And as they rot in your colon, the content will give off gas. As a result, you will become gassy and bloated. Increase fluid intake to keep your intestinal inner lining moist so that waste product can pass through the passages easier. Increase fiber intake to avoid clogging of rotting waste products in the intestines. Keep salt intake to minimal recommended daily dosage to avoid bloating. Ensure you are taking enough nutrients to prevent your body from going into starvation mode. According to medical research, deficiency in Vitamin A, B, C, and D are crucial to hair loss. In order to prevent this problem, take daily vitamin and mineral supplements to keep your hair follicle healthy. Not only will it avoid hair loss but also promote stronger hair growth in the future. Keep your new habit changes as simple as possible. According to psychology research, any time you are trying to form a new habit, it can drastically increase your stress level and throw your hormones into a mess. At the same time, research studies have found hormonal imbalance to have a huge impact on hair loss. So instead of changing your daily routine all at once, ease into it. Perhaps create a goal plan of working on only one habit at a time. For example, if you want to start on a low-carb diet, do not jump onto an intense exercise program as well. Give your body and mind several weeks to adjust before launching on a new exercise regimen. This way, you will be less stressed out and more likely to keep to your new habits. Drink more water. When your skin cells stay hydrated, they will repair and rejuvenate much quicker than dehydrated skin. Eat more healthy food rich in omega-3 fat and protein. They are essential to tissue growth and repair. Incorporating mackerel, salmon, flaxseeds, coconut oil into your diet is a great way to ensure you are getting enough omega-3 fatty acids. Give your scalp regular massages to promote better blood flow so that more nutrients can be transported to the cells. Adding few drops of natural oil and essential oil in the process can help your scalp and hair follicles absorb even more nutrients needed for stronger hair growth. When you go on a low-carb diet, you can see a hike in your cholesterol level. In general, due to frequent urination, you are highly likely to have less blood volume. Combined with increase consumption of higher fat content food, your test results will show up as having high cholesterol level. However, it may not be a bad news depending on your LDL and HDL levels. LDL cholesterol is commonly known as bad cholesterol. HDL cholesterol is commonly known as good cholesterol. 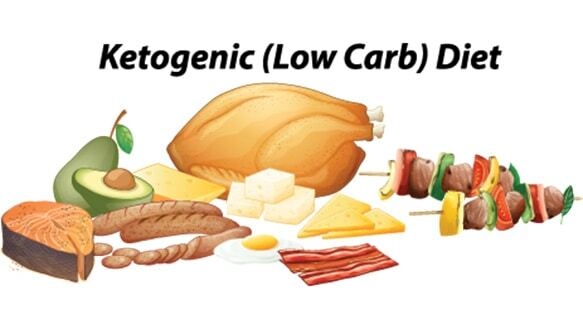 In most cases, individuals who go on a low-carb diet or ketogenic diet will see a higher HDL and lower LDL reading. And for certain individuals with certain genetic predispositions factors such as genetic liver disease, their cholesterol level may greatly fluctuate while their bodies adjust to the new diet. Either case, consult your doctor and dietitian concerning your new diet and cholesterol fluctuation. Avoid taking in too much coconut oil or MCT oil. That means no bulletproof coffee with oil or butter as thickener. Consider using intermittent fasting as a way to reduce cholesterol. Studies have shown that when individuals eat only when they feel hungry and use intermittent fasting as a diet aid tend to have a lower cholesterol level than individuals who eat according to a time schedule. Swap for monounsaturated fats as cooking alternative. Even though research studies have shown that saturated fat does not increase your chance of developing heart disease and heart attacks, it does affect your cholesterol level. So instead of using butter and coconut oil for cooking, substitute olive oils, nut oils, or even avocados instead. Take in at least the minimal recommended daily carb intake. For certain individuals, ketosis will cause a spike in cholesterol. So by taking enough carbohydrates to avoid ketosis, you will have a better chance of maintaining a leveled cholesterol level. Although why this phenomenon occurs is still somewhat a mystery, medical researchers speculate that because the liver is so preoccupied with making glucose and ketones, its ability to process alcohol is dramatically impaired. Other researchers suggest that the processes of breaking down sugar and alcohol are quite similar. So once the body adapts to the new low sugar intake, the alcohol tolerance will also decrease. Drink less than your usual limit. And avoid drinking and driving. Do not drink on an empty stomach. If you must drink alcohol, eat some fatty food first to settle your stomach and slow down the alcohol metabolism. Gout is caused by excess uric acid accumulation in the joint that results in swelling and inflammation of the area. Although it can affect any extremities joints, the inflammation is most susceptible on the outside of the big toe joint. It is commonly found in individuals who suffer from metabolic problems and consume a lot of starchy and protein-rich food. Even though following a low-carb diet can alleviate the situation, not all of them are created equal. Those that promote high protein and low carbohydrate food intake eating habits can lead to out and make matter worse for individuals who are already suffering from the problem. Although a low-carb diet will eventually lower the uric acid level and alleviate gout episodes, the first six weeks of following the new diet can trigger worst cases of gout problems. Minimize alcohol intake. Alcohol tends to cause fluid accumulation and worsen the problem. Avoid extra strenuous physical exercise within first six weeks of new diet routine. Even though a lack of exercise can worsen fluid accumulation, over exertion can make the affected area even tenderer. Dehydration due to exercising can also trigger a worse episode. Spend time stretching and massaging your joints to help with circulation. Elevate your feet to promote circulation. The less fluid accumulation occurs, the less likely you will suffer from the condition. Avoid medication such as aspirin that can cause a spike in uric acid levels. Take time to de-stress. It has been found that stress hormones can act as a trigger for gout attacks. By lowering your stress level, you will be less likely to suffer from this side-effect. Take a daily B5 supplement. It is an essential vitamin that is responsible for uric acid excretion. So having enough B5 vitamin in your body can greatly decrease your chance of developing the problem. Once you lower your carb intake, your body will compensate by slowing down the metabolism process. It is especially evident if you begin to consume too few calories or exercise excessively. Your weight does not tell the whole story of your progress. If you are exercising especially lifting weights, you are actually gaining muscles while you are losing fat. However, protein weighs more than fat. So when you step on the scale, you may see yourself weighing the same or even gaining weight. You are stressing your body too much and the elevated cortisol level is preventing you from losing weight. You are not getting enough sleep. Research studies have shown that just one day of sleep deprivation can lead to insulin insensitivity and raises your cortisol level so that your body cannot burn fat efficiently. 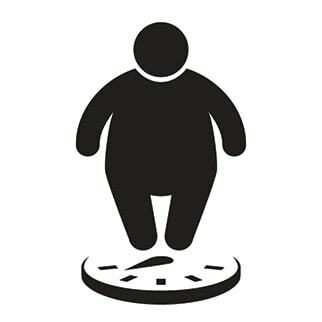 You are exercising too much and causing your body to slow down metabolism as a survival mechanism. You are taking in too much artificial sweeteners. Although they contain very little or even no calories, they can interfere with nutrient absorption and utilization. New research studies have demonstrated that non-calories sweeteners can cause glucose intolerance by affecting the intestinal macrobiotic properties. They also cause you to eat more processed food and crave for sweet food. Consequently, you may end up eating too much calories or hidden sugar contents. Science research surveys have found out that individuals who consume artificial sweeteners tend to gain more weight and suffer from more health problems (e.g. heart disease, diabetes, metabolism-related diseases, and cancer) than those who do not consume artificial sweeteners. Instead of relying on your weight as a progress indicator, use other measurements such as body mass index (BMI) measurement, cholesterol level, or exercise endurance records to track your success. You can track your journey by taking regular photos of yourself and compare your before-diet appearance and current appearance. Mix up your workout routine to give your body a challenge the right way. Do not try to over strain your body to see immediate results. Remember that even though losing weight is your current goal, your long term goal is to feel better and remain healthy. Spend more time sleeping and de-stressing your body. Avoid artificial sweeteners and choose better carbohydrate sources. Folic acid is the building block of fetal spine and skull development. According to the Centers for Disease Control (CDC), all women who are at childbearing age should take in at least 400 mg folic acid per day. For pregnant women, the dose should be doubled to 800 mg per day. But why is this so crucial to low-carb diets? This vitamin B is found mostly in foods that are high in carbohydrate content such as grains, fruits, vegetables, pasta, bread, cereal, and rice. For women who choose to follow the low-carb diet health trends, they are at risk of not taking in enough folic acids. A very recent medical study done by University of North Carolina, they have found that pregnant women who are on any type of low carbohydrate diets tend to have a much higher incidence of suffering from low folic acid levels. In other recent health surveys, the statistics have shown that only 30% of women in the United States receive the recommended daily dosage. So what happens to babies of women who suffer from folic acid deficiency? Because folic acid crucial to fetal neural and spine development, the fetus of these expecting mothers are much more susceptible to neurological and spinal birth defects. It has been found that women who are on low carb diets that are gluten-free and low in folic acid nutrient have 30% higher risk of delivering babies with anencephaly, spina bifida, and neural tube birth defects. These women are also more likely to suffer from stillbirths and birth terminations resulting from lethal fetal birth defects. Other medical survey studies also indicate that low-carb and high protein diets are equally dangerous for pregnancy as it causes high cortisol levels in expecting mothers. The babies of these mothers eventually will be more likely to develop high blood pressure earlier in life. Another important fact to note is that brain and spine development occurs in the very beginning stage of fetal development. So for women who follow a low-carb lifestyle, by the time they realize they are pregnant, the damage may already be done. In order to avoid this problem, any female who are of childbearing age and wish to have a child at some point of their lives, should consider taking folic acid supplements when they go on a diet that is low in vitamin B. 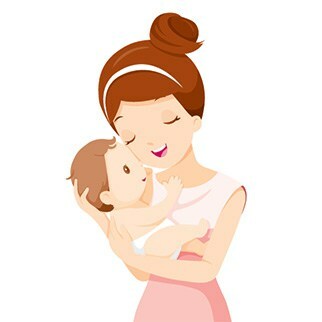 And once pregnancy is detected, the individual should immediately consult with their doctors and medical team members about their current health, their nutritional need changes, and whether it is still a viable option to pursue a low carb diet that is both beneficial to the fetus and the mother. So now that we have talked about the side effects of eating too little carbohydrates, you may wonder about what happens if you eat too much sugar. Besides quickly increasing weight and spiking your blood glucose level, a diet high in carbohydrate is associated with cognitive decline. Even though the brain requires glucose to function properly, too much of a good thing can lead to various cognitive problems. According to medical case correlation studies, type 2 diabetes individuals tend have a much higher tendency to suffer from cognitive decline as well as early onset Alzheimer’s disease. It has also been observed that diabetes individuals who have poor blood sugar control tend to suffer from memory problems much sooner than individuals who have good control of their blood glucose level. This finding demonstrates that frequent hyperglycemia episodes are closely linked the early onset of neurological diseases. 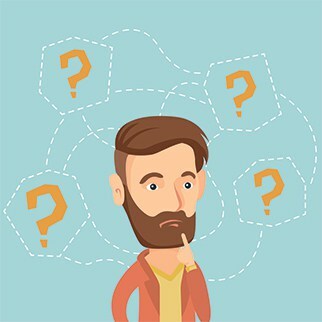 What is the underlying link between carbs and memory loss? Studies have shown that frequent hyperglycemia can lead to overabundance of glucose buildup in the brain. This causes blockage in the brain blood vessels, and prevents blood flow and chemical exchanged required for memory formation. In extreme cases, the clog can cause permanent damage to the brain from massive cell death. Thus it can increase the chance developing of dementia and Alzheimer’s disease. In addition, the blockage will raises the risk of stroke and brain aneurysm. Carbohydrates loves to bind with water in a 1 to 3 ratio. For every gram of carbs you take in, your body will hold onto 3 grams of water. This can solve the mystery of why you look so much heavier and bloated after binging on surgery foods. You go into withdrawal mode craving for more sugar. Whenever you eat surgery food, your brain will respond by releasing the feel-good dopamine hormone. And the more carbs you eat, the more dopamine is released. Over time, your body will become addicted to the positive feedback. When you stop eating carbs, your body will go into withdrawal mode. As a matter of fact, some people have compared the sensation to caffeine addiction. If your diet consists mainly of carbs, the food source will be quickly processed unlike proteins and fats. Consequently, you will be less satiated and become hungry faster than if your diet comprise mainly of protein. This problem will be worse if the carbs you consume are simple carbs and processed foods. Your skin will be more prone to acne. Medical studies have demonstrated that high glycemic foods have a tendency to aggravate acne problem. Research tests have also shown that the skin quality and acne problem greatly improves when the participants are placed on a high protein and low glycemic diet. You suffer from mood swings and fatigue. Everyone probably have experienced the so-called “sugar rush” at some point in their lives. The spike in blood glucose level along with dopamine release can trigger an euphoria feeling. But once the blood sugar drops and the happy hormone wears out, the huge chemical change can make you feel exhausted and sluggish. In extreme cases, you will experience severe headache and loss of appetite. Other than mood swings, you will find yourself having a difficulty in remembering information. Studies have shown that frequent hyperglycemia can lead to overabundance of glucose buildup in the brain. This leads to blockage in the brain blood vessels and prevent blood flow and chemical exchanged required for memory formation. In extreme cases, the clog can cause permanent damage to the brain. Over time, it can increase the chance developing of dementia and Alzheimer’s disease. If you have been exercising but still cannot build muscles, it is very likely that you are eating too much carbs and not enough protein. Even though carbs sources may provide many nutrients and minerals for the body, protein is still needed in order to develop and repair muscle cells. So when your diet consists mainly of starchy foods, you will lack muscle strength and become tired quickly. According to the Institute of Medicine, 45 to 65 percent of a person’s daily calories intake should come from carbohydrate food sources. The average minimum suggested daily intake of carbohydrate is 130 grams. For pregnant women and mothers who are nursing, their intake should be between 175 to 210 grams per day. However, your calories and carb intake depends heavily on your height, your lifestyle, and your health needs. In general, the Academy of Nutrition and Dietetics suggests that an individual requires between 2.3 to 5.5 grams of carbohydrate per pound of body weight for each daily requirement. However, the National Institutes of Health (NIH) highly recommends that each person should have their customized carbohydrate intake goal. Those who live a rather sedentary lifestyle should aim towards a lower percentage versus individuals who engage in vigorous physical activities regularly should aim for a higher percentage within the recommended intake spectrum. And for professional athletes, the required intake can even be as high as 70% to replenish the glycogen loss from intensive training. This number will be your daily intake quota. For example, if your daily calories intake is 2,000, your carb intake should be between 225 to 325 grams depending on your lifestyle and health needs. However, if you have any pre-existing health conditions that affect your metabolism and blood glucose level, you may need to limit your quota below the usual standards. For example, it is recommended that individuals with diabetes should limit their consumption to less than 200 grams per day to avoid hyperglycemia. South Beach Diet: It emphasizes on a relatively lower percentage of carbs (28% of daily calories) and higher percentage of fats and proteins. Paleo Diet: It stresses on eating natural non-processed foods just like the cavemen did. This includes no pasta, white rice, pastries, bread, cereals, instant oatmeal, and anything that has been processed. It also encourages cooking foods in simpler methods so that the GI values are lower. Whole30 Diet: It is a very restrictive plan that restricts all sugar, grains, alcohol, legumes, dairy products, and anything that is made from a combination of more than three ingredients. In a sense, it is stricter version of the paleo diet where you are only allowed meats, fish, eggs, vegetables, and fruit. Sugar Busters Diet: This plan encourages building a diet around high-fiber foods, lean proteins, and whole grains, and avoiding foods that are high in GI value. 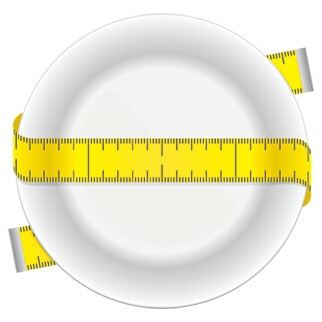 Bernstein’s Low-Carb Diet: This diet is catered specially to individuals with diabetes. It emphasizes on low carbohydrate, moderate fat, and high protein intake to stabilize blood sugar level. This plans calls for a maximum daily quota of 30 grams carbs intake. Atkins Diet. This is low in carbs, low in fats, and high in proteins. It also suggests eating minimal vegetables and fruits to maximize results. 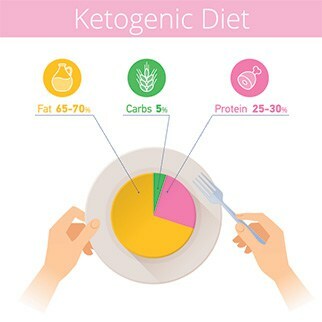 Ketogenic Diet: It emphasizes on a diet that is low in carbs (50 grams or less per day), moderate in proteins, and high in fats. The standard ratio is set at 5% carbs, 20% proteins, and 75% fats. The theory behind this method is that when you put your body in ketosis mode, your body will be forced to burn your stored fat into energy. As a result, individuals will see their weight and fat decrease rapidly within a short time. Low-carb Mediterranean Diet: It is designed to help individuals who suffer from type 2 diabetes, prediabetes, excess body weight, and/or metabolic syndrome. It borrows the ketogenic diet idea of using the ketosis state to maximize fat burning by minimizing carb intake. The difference is that the low-carb Mediterranean diet focuses on consuming mostly plant-based foods that have high protein values, lean proteins, and healthy fats. It also calls for regular consumption of vinegar to speed up metabolism and stabilizing blood sugar level. Low-carbohydrate diets are popular because the results are quick and evident. However when it comes to losing weight, any food group restrictive regimens is successful as long as the diet plans are accompanied with physical exercise treatments. According to medical research studies, even though both low-fat and low-carb diets are equally effective at decreasing weight and BMI measurements, participants from the low-carb diet group also exhibit a reduction in their diastolic blood pressure and a greater raise in high-density lipoprotein cholesterol level. After two years of following a low-carb diet, participants are shown to have a much lower risk of developing cardiovascular disease and type 2 diabetes. Furthermore, they have a higher tendency to continue with the regimen and keep their weight off. With so many benefits, no wonder why it has become a popular trend. Just like fats, carbohydrates can exist as simple or complex forms. Simple sugars (also known as monosaccharides and disaccharides) includes glucose, galactose, fructose, sucrose, lactose, and maltose. They are easy to break down and cause quick changes to the blood sugar level. Complex sugars (also known as polysaccharides) includes starches. They are much more complex in structure and take longer time to break down. As a result, they cause slower changes to the blood sugar level and allow the body to stay satiated for longer duration of time. When you need to stay within your calories and carb intake quota, how can you maximize your nutritional intake and stay satiated longer? The answer is picking the right foods. The list below will give you an idea what foods to avoid and what choices make the best options. In general, processed simple sugars should be avoided. Instead, look for the most natural choices of unrefined complex sugars you can find. Depending on your nutritional needs and craving, unrefined simple sugars and processed complex sugar products will help you create variety while still offer a great array of nutrients, vitamins, and minerals for your body. Even though simple sugars can cause your blood sugars to rise rapidly, you may want to keep some of the simple sugar items in your pantry or gym bag as an emergency supply in case you experience hypoglycemia and need a quick blood sugar adjustment. If you want to avoid all possible addictive chemicals, you may want to purchase pure glucose tablets from your local pharmacy instead. Another option is to carry small packets of pure honey as an emergency resource. Because honey is in liquid form, it can be absorbed and utilize much quicker than solid simple sugars. 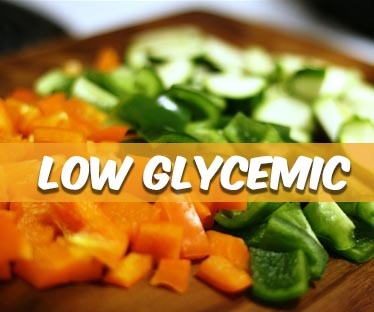 And with a high glycemic value, it is known as one of the most natural and fast acting simple sugars. Even though the general rule is that simple carbs have the inclination of raising blood glucose faster than complex carbs, there is a much more exact way to find out how quickly a food source affects the blood sugar level. The answer is checking the glycemic index (GI), a scale (from 0 to 100) used to measure how rapidly a food increases blood sugar level. Higher the measurement, faster the reaction. In general, foods that rate 55 or lower are known as low GI foods, foods that rate 56 to 69 are labeled as medium GI foods, and foods that rate 70 or higher qualify as high GI foods. The riper a vegetable or a fruit becomes, the higher the GI becomes. Amount of processing. The more processing is used to prepare a food item, the higher the GI. For example, an apple has a lower GI measurement than the apple juice. Method of cooking. The longer and higher temperature the cooking, the higher the GI value. For example, pasta cooked to al dente has a lower GI value than pasta prepared to soft-cooked quality. Even though there are numerous side effects resulting from a low-carb diets, many of the symptoms are only temporary. In the long run, it is great for helping obese individuals to lose weight, protect you from developing type-2 diabetes, lower your chance of developing cognitive problems, and decrease your chance of developing Alzheimer’s disease. Is losing weight and/or fat your main goals? Do you have trouble keeping your weight off? Are you seeing results from your current diet and exercise regime? Are you currently suffering from certain medical conditions that may create complication if you switch up your diet plan? Are you currently suffering from certain medical conditions that can benefit from a low-carb diet? Are you planning to have a baby in the near future and currently trying to conceive? Individuals who have difficulty lowering their BMI ratio. Individuals who have trouble maintaining control of their blood glucose level. Individuals who suffer from high blood pressure. Individuals who wish to increase their physical endurance and performance. Individuals who suffer from weight swings and have a hard time keeping their weight off. Individuals who see very little progress with their current diet and exercise regime. Individuals who have a family history and genetic predisposition of developing Alzheimer’s disease, Parkinson’s disease, multiple sclerosis, diabetes, dementia, various auto-immune diseases, cardiovascular diseases, and cancer. Women who suffer from frequent yeast infections. Women who suffer from polycystic ovary syndrome (PCOS). Individuals who suffer from stubborn acne and skin problems. Individuals who suffer from heartburns and indigestions. Individuals who suffer from migraines. Individuals who wish to reduce their hunger tendencies. Individuals who suffer from difficult-to-treat epilepsy seizures. Following a ketogenic diet low-carb diet can significantly lower the frequency of seizure attacks and severity of the seizure episodes. Individuals who suffer from diabetes. Individuals who are suffering from Parkinson’s disease. It can reduce the symptoms as well as slow down the progression of the disease. Individuals who suffer from a recent case of stroke, acute traumatic brain injury, or cerebral ischemia. Research studies have found that the neurological problems resulting from these health programs are closely related to calcium overload, mitochondrial problems, and glutamate-mediated excitotoxicity caused by sugar intake. By consuming minimal carbohydrate intake, individuals who suffer from these neurological damage have shown to exhibit less neural damage and recover much better than patients who do not cut back on their sugar intake. Individuals who suffer from an auto-immune disease and susceptible to inflammations. Eating less sugar can greatly lower the chances of contracting inflammation. Individuals who suffer from high low-density lipoprotein (LDL) cholesterol level. Athletes who engage in endurance events. Once an individual adapts to using fat instead of glycogen to produce energy source, they will be able to lower their gastrointestinal activities and reserve more blood flow to their muscles instead. Pregnant women, nursing mothers, and women who are trying to conceive. People who suffer from hypothyroidism or malfunctioning thyroid glands. Individuals who suffer from frequent hypoglycemia and ketosis episodes. Individuals who suffer from liver disease, hepatitis B, and hepatitis C.
Individuals who suffer from kidney disease. Individuals who are taking certain mood stabilizing medication or antidepressant such as lithium as they can increase chances of dehydration and increasing blood concentration. Individuals who suffer from gallbladder disease or do not have a gallbladder. Individuals who have certain metabolic diseases that prevent normal fat and protein metabolism. Children as they require carbohydrates for development and growth purposes. Individuals with type 1 diabetes and especially those who have a tendency to go into ketoacidosis during sleep. Individuals who suffer from pancreatic insufficiency or faulty pancreatic enzyme activities. Individuals who are prone to kidney stones. Individuals who have a genetic predisposition of developing fatty liver and have a higher ketone bodies count. Individuals who are currently suffering or recovering from an eating disorder. Individuals who are severely underweight. Individuals who suffer from muscular dystrophy. Individuals who are recovering from severe injuries and/or surgeries. Individuals who are suffering from osteoporosis and/or have a genetic predisposition of developing osteoporosis and low bone density. Individuals who are currently on any type of medication. Individuals who have a history of suffering from severe mental disorders and mood disorders. Individual who are already suffering from high uric acid blood level and/or suffering from gout. Before beginning any type of diet, you should always consult with your doctor and perform a physical test to ensure you are a right candidate for a low-carb diet. For years, carbohydrate restriction has been used as a common treatment for individuals with diabetes to control their blood sugar level. Having said that, is it safe for them to try out these extremely low-carb diets such as the ketogenic diets? Because certain people are more susceptible to hypoglycemia and ketosis, it may lead to lethal complications. Beginning an extremely low-carb diet without first adjusting medication dosage can lead to ketoacidosis and extremely low blood sugar level. The ketone buildup can be extremely damaging for those who suffer from pancreas, liver, and kidney complications. Failure to meet the nutritional standard can subject some people to weakened bone mass, osteoporosis, infections, and injuries. The side effects can increase chance of developing depression. Certain side effects can create undesirable reaction with various medications. Talk with your nutritionist about customizing a diet to fit your needs and goals. Learn ways to pick better food options for your diet needs. Look for alternative plans that suit your needs without going through drastic changes. Discuss about incorporating aerobic exercise and resistance training to boost metabolism. Make other habit changes such as getting more sleep, doing yoga, and practicing meditation to de-stress can also have a positive impact on your diet progress. When it comes to diets, drastic results can be tremendously attractive, but they are also prone to yeilding failure in the long run. Instead of looking for a quick fix, consider the change as a life time journey. Even though you may see results at a slower pace, you will be able to reap in more health benefits without needing to experience the long list of side effects. Every person who goes on a diet wants to feel healthier and look better. In exchange, they are willing to go through drastic measures to reach their goals. One of the reasons why many trendy diets are so popular is because they offer quick dramatic results. However, once the initial weight loss and fat burn taper off, the side effects set in, making the experience unbearable and dangerous. If you want to create a stable healthy lifestyle, you should around the idea of a quick fix. Instead of cramming your lifestyle to fit the diet plan, customize the plan to fit your needs. What is even more important is that diet is only one part of the solution. Getting into an active lifestyle can just be as effective when paired with moderate carb cut back and healthy eating habits. At the end of the day, your hard work should not make you feel weak and frazzled. It should make you feel good, healthy, and strong as a whole. Accurso A, Bernstein RK, Dahlqvist A, Draznin B, Feinman RD, Fine EJ, Gleed A, Jacobs DB, Larson G, Lustig RH, Manninen AH, McFarlane SI, Morrison K, Nielsen JV, Ravnskov U, Roth KS, Silvestre R, Sowers JR, Sundberg R, Volek JS, Westman EC, Wood RJ, Wortman J, Vernon MC: Dietary carbohydrate restriction in type 2 diabetes mellitus and metabolic syndrome: time for a critical appraisal. Nutr Metab (Lond). 2008, 5: 9-10.1186/1743-7075-5-9. Achten J, Jeukendrup AE.. Optimizing fat oxidation through exercise and diet. Nutrition. 2004;20:716–727. Al-Sarraj T, Saadi H, Calle MC, Volek JS, Fernandez ML: Carbohydrate restriction, as a first-line dietary intervention, effectively reduces biomarkers of metabolic syndrome in Emirati adults. J Nutr. 2009, 139: 1667-1676. 10.3945/jn.109.109603. Appleton DB, De Vivo DC. An experimental animal model for the effect of ketogenic diet on epilepsy. Proc Aust Assoc Neurol. 1973;10:75–80. Blanck, H. M., Gillespie, C., Serdula, M. K., Khan, L. K., Galusk, D. A., & Ainsworth, B. E. (2006). Use of low-carbohydrate, high-protein diets among Americans: Correlates, duration, and weight loss. MedGenMed: Medscape general Medicine, 8(2), 5. Brinkworth GD, Buckley JD, Noakes M, Clifton PM, Wilson CJ.. Long-term effects of a very low-carbohydrate diet and a low-fat diet on mood and cognitive function. Arch Intern Med. 2009a;169:1873–1880. Brinkworth GD, Noakes M, Clifton PM, Buckley JD.. Effects of a low carbohydrate weight loss diet on exercise capacity and tolerance in obese subjects. Obesity (Silver Spring) 2009b;17:1916–1923. Bonjour JP, et. al. Protein Intake and Bone Growth. Can J Appl Physiology 2001; 26 Suppl: S153-66. Bough KJ, Gudi K, Han FT, Rathod AH, Eagles DA. An anticonvulsant profile of the ketogenic diet in the rat. Epilepsy Res. 2002;50:313–325. Brehm BJ, Seeley RJ, Daniels SR, D’Alessio DA: A randomized trial comparing a very low carbohydrate diet and a calorie-restricted low fat diet on body weight and cardiovascular risk factors in healthy women. J Clin Endocrinol Metab. 2003, 88: 1617-1623. 10.1210/jc.2002-021480. Bueno NB, de Melo ISV, de Oliveira SL, da Rocha Ataide T.. Very-low-carbohydrate ketogenic diet v. low-fat diet for long-term weight loss: a meta-analysis of randomised controlled trials. Br J Nutr. 2013;110:1178–1187. Burke LM.. Re-examining high-fat diets for sports performance: did we call the ‘nail in the coffin’ too soon? Sports Med. 2015;45:33–49. Burke LM, Hawley JA.. Effects of short-term fat adaptation on metabolism and performance of prolonged exercise. Med Sci Sports Exerc. 2002;34:1492–1498. Caraballo RH, Cersosimo RO, Sakr D, Cresta A, Escobal N, Fejerman N. Ketogenic diet in patients with Dravet syndrome. Epilepsia. 2005;46:1539–1544. Carmichael, S. L., Rasmussen, S. A., & Shaw, G. M. (2010). Prepregnancy obesity: A complex risk factor for selected birth defects. Birth Defects Research. Part A, Clinical and Molecular Teratology, 88(10), 804–810. Carmichael, S. L., Yang, W., & Feldkamp, M. L. (2012). Reduced risks of neural tube defects and orofacial clefts with higher diet quality. Archives of Pediatrics & Adolescent Medicine, 166(2), 121–126. Chamorro A, Hallenbeck J. The harms and benefits of inflammatory and immune responses in vascular disease. Stroke. 2006;37:291–293. Chang, Chen-Kang, Katarina Borer, and Po-Ju Lin. “Low-Carbohydrate-High-Fat Diet: Can It Help Exercise Performance?” Journal of Human Kinetics 56 (2017): 81–92. PMC. Web. 29 Jan. 2018. Chang CK, Chang Chien KM, Chang JH, Huang MH, Liang YC, Liu TH.. Branched-chain amino acids and arginine improve performance in two consecutive days of simulated handball games in male and female athletes: a randomized trial. Chen IF, Wu HJ, Chen CY, Chou KM, Chang CK.. Branched-chain amino acids, arginine, citrulline alleviate central fatigue after 3 simulated matches in taekwondo athletes: a randomized controlled trial. J Int. Soc Sports Nutr. 2016;13:28. Chen J, Nagayama T, Jin K, Stetler RA, Zhu RL, Graham SH, Simon RP. Induction of caspase-3-like protease may mediate delayed neuronal death in the hippocampus after transient cerebral ischemia. J Neurosci. 1998;18:4914–4928. Cherian L, Peek K, Robertson CS, Goodman JC, Grossman RG. Calorie sources and recovery from central nervous system ischemia. Crit Care Med. 1994;22:1841–1850. Chokkalingam K, Jewell K, Norton L, Littlewood J, van Loon LJ, Mansell P, Macdonald IA, Tsintzas K.. High-fat/low-carbohydrate diet reduces insulin-stimulated carbohydrate oxidation but stimulates nonoxidative glucose disposal in humans: An important role for skeletal muscle pyruvate dehydrogenase kinase 4. J Clin Endocrinol Metab. 2007;92:284–292. Cullingford TE. The ketogenic diet; fatty acids, fatty acid-activated receptors and neurological disorders. Prostaglandins Leukot Essent Fatty Acids. 2004;70:253–264. Cunnane SC, Musa K, Ryan MA, Whiting S, Fraser DD. Potential role of polyunsaturates in seizure protection achieved with the ketogenic diet. Prostaglandins Leukot Essent Fatty Acids. 2002;67:131–135. Dardzinski BJ, Smith SL, Towfighi J, Williams GD, Vannucci RC, Smith MB. Increased plasma beta-hydroxybutyrate, preserved cerebral energy metabolism, and amelioration of brain damage during neonatal hypoxia ischemia with dexamethasone pretreatment. Pediatr Res. 2000;48:248–255. Davidson TL, Hargrave SL, Swithers SE, Sample CH, Fu X, Kinzig KP, Zheng W.. Inter-relationships among diet, obesity and hippocampal-dependent cognitive function. Neuroscience. 2013;253:110–122. Davis JM, Bailey SP.. Possible mechanisms of central nervous system fatigue during exercise. Med Sci Sports Exerc. 1997;29:45–57. Del Prete E, Lutz TA, Scharrer E: Transient hypophagia in rats switched from high-fat diets with different fatty-acid pattern to a high-carbohydrate diet. Appetite. 2000, 34: 137-145. 10.1006/appe.1999.0303. Del Prete E, Scharrer E: Meal pattern during the transient hypophagia of rats switched from a high fat to a high carbohydrate diet. Appetite. 1995, 25: 133-141. Desrosiers, Tania A, et. al. Low carbohydrate diets may increase risk of neural tube defects. National Birth Defects Prevention Study. Duan W, Mattson MP. Dietary restriction and 2-deoxyglucose administration improve behavioral outcome and reduce degeneration of dopaminergic neurons in models of Parkinson’s disease. J Neurosci Res. 1999;57:195–206. Dugan, A. (2014, July 29). Americans still avoid fat more than carbs. Gallup News. Retrieved from http://news.gallup.com/poll/174176/americans-avoid-fat-carbs.aspx. Engelhart MJ, Geerlings MI, Ruitenberg A, van Swieten JC, Hofman A, Witteman JC, Breteler MM. Diet and risk of dementia: does fat matter? The Rotterdam Study. Neurology. 2002;59:1915–1921. Erecinska M, Nelson D, Daikhin Y, Yudkoff M. Regulation of GABA level in rat brain synaptosomes: fluxes through enzymes of the GABA shunt and effects of glutamate, calcium, and ketone bodies. J Neurochem. 1996;67:2325–2334. Foster GD, Wyatt HR, Hill JO, McGuckin BG, Brill C, Mohammed BS, Szapary PO, Rader DJ, Edman JS, Klein S: A randomized trial of a low-carbohydrate diet for obesity. N Engl J Med. 2003, 348: 2082-2090. 10.1056/NEJMoa022207. Foster GD, Wyatt HR, Hill JO, Makris AP, Rosenbaum DL, Brill C, et al. Weight and Metabolic Outcomes After 2 Years on a Low-Carbohydrate Versus Low-Fat Diet: A Randomized Trial. Ann Intern Med. 2010;153:147–157. Food and Drug Administration. (1996). Food standards: Amendment of standards of identity for enriched grain products to require addition of folic acid. Federal Register, 61, 8781–8797. Fraser DD, Whiting S, Andrew RD, Macdonald EA, Musa-Veloso K, Cunnane SC. Elevated polyunsaturated fatty acids in blood serum obtained from children on the ketogenic diet. Neurology. 2003;60:1026–1029. Freedman, M. R., King, J., & Kennedy, E. (2001). Popular diets: A scientific review. Obesity Research, 9(Suppl 1), 1S–40S. Freeman JM, Vining EP, Pillas DJ, Pyzik PL, Casey JC, Kelly LM. The efficacy of the ketogenic diet – 1998: a prospective evaluation of intervention in 150 children. Pediatrics. 1998;102:1358–1363. Fujikawa DG. Prolonged seizures and cellular injury: understanding the connection. Epilepsy Behav. 2005;7 Suppl 3:S3–S11. Geary N, Scharrer E, Freudlsperger R, Raab W: Adaptation to high-fat diet and carbohydrate-induced satiety in the rat. Am J Physiol. 1979, 237: R139-146. Hession M, Rolland C, Kulkarni U, Wise A, Broom J.. Systematic review of randomized controlled trials of low-carbohydrate vs. low-fat/low-calorie diets in the management of obesity and its comorbidities. Obes Rev. 2009;10:36–50. Hu T, Mills KT, Yao L, Demanelis K, Eloustaz M, Yancy WS, Jr., Kelly TN, He J, Bazzano LA.. Effects of low-carbohydrate diets versus low-fat diets on metabolic risk factors: a meta-analysis of randomized controlled clinical trials. Am J Epidemiol. 2012;176(7):44–54. Krieger JW, Sitren HS, Daniels MJ, Langkamp-Henken B: Effects of variation in protein and carbohydrate intake on body mass and composition during energy restriction: a meta-regression 1. Am J Clin Nutr. 2006, 83: 260-274. McGarry JD, Foster DW: Regulation of hepatic fatty acid oxidation and ketone body production. Annu Rev Biochem. 1980, 49: 395-420. Mokdad AH, Bowman BA, Ford ES, Vinicor F, Marks JS, Koplan JP: The continuing epidemics of obesity and diabetes in the United States. Jama. 2001, 286: 1195-1200. 10.1001/jama.286.10.1195. Mosley, B. S., Cleves, M. A., Siega-Riz, A. M., Shaw, G. M., Canfield, M. A., Waller, D. K., … National Birth Defects Prevention Study. (2009). Neural tube defects and maternal folate intake among pregnancies conceived after folic acid fortification in the United States. American Journal of Epidemiology, 169(1), 9–17. Pehrsson, P., Patterson, K., Haytowitz, D., & Phillips, K. (2015). Total carbohydrate determinations in USDA’s National Nutrient Database for Standard Reference. The FASEB Journal, 29(1): S740.6. Quinlivan, E. P., & Gregory, J. F., 3rd. (2007). Reassessing folic acid consumption patterns in the United States (1999 2004): Potential effect on neural tube defects and overexposure to folate. The American Journal of Clinical Nutrition, 86(6), 1773–1779. Rasmussen, S. A., Olney, R. S., Holmes, L. B., Lin, A. E., Keppler-Noreuil, K. M., & Moore, C. A. (2003). Guidelines for case classification for the National Birth Defects Prevention Study. Birth Defects Research. Part A, Clinical and Molecular Teratology, 67(3), 193–201. Recommendations for the use of folic acid to reduce the number of cases of spina bifida and other neural tube defects. (1992). MMWR Recommendations and Reports, 41(RR-14), 1–7. Samaha FF, Iqbal N, Seshadri P, Chicano KL, Daily DA, McGrory J, Williams T, Williams M, Gracely EJ, Stern L: A low-carbohydrate as compared with a low-fat diet in severe obesity. N Engl J Med. 2003, 348: 2074-2081. 10.1056/NEJMoa022637. Se Lau LM, Bornebroek M, Witteman JC, Hofman A, Koudstaal PJ, Breteler MM. Dietary fatty acids and the risk of Parkinson disease: the Rotterdam study. Neurology. 2005;64:2040–2045. Smith, Robyn N. (2007). The effect of a high-protein, low glycemic-load diet versus a conventional, high glycemic-load diet on biochemical parameters associated with acne vulgaris: A randomized, investigator-masked, controlled trial. Journal of the American Academy of Dermatology, 57(2): 247 – 256. Sotres-Alvarez, D., Siega-Riz, A. M., Herring, A. H., Carmichael, S. L., Feldkamp, M. L., Hobbs, C. A., & Olshan, A. F. (2013). Maternal dietary patterns are associated with risk of neural tube and congenital heart defects. American Journal of Epidemiology, 177(11), 1279–1288. Suez, D. et. al. (2014). Artificial sweeteners induce glucose intolerance by altering the gut microbiota. Nature, 181-186 (09 Oct 2014). Thenen SW, Mayer J: Energy utilization of a low carbohydrate diet fed genetically obese rats and mice. J Nutr. 1977, 107: 320-329. Tinker, S. C., Hamner, H. C., Qi, Y. P., & Crider, K. S. (2015). U.S. women of childbearing age who are at possible increased risk of a neural tube defect-affected pregnancy due to suboptimal red blood cell folate concentrations, National Health and Nutrition Examination Survey 2007 to 2012. Birth Defects Research. Part A, Clinical and Molecular Teratology, 103(6), 517–526. USDA Agricultural Research Service. (2007). USDA National Nutrient Database for Standard Reference, Release 20. Washington, DC: Author. Retrieved from http://www.ars.usda.gov/ba/bhnrc/ndl. Wang Y, Beydoun MA, Liang L, Caballero B, Kumanyika SK: Will all Americans become overweight or obese? estimating the progression and cost of the US obesity epidemic. Obesity (Silver Spring). 2008, 16: 2323-2330. 10.1038/oby.2008.351. Williams EA, Perkins SN, Smith NC, Hursting SD, Lane MA: Carbohydrate versus energy restriction: effects on weight loss, body composition and metabolism. Ann Nutr Metab. 2007, 51: 232-243. Williams, J., Mai, C. T., Mulinare, J., Isenburg, J., Flood, T. J., Ethen, M., … Centers for Disease Control and Prevention. (2015). Updated estimates of neural tube defects prevented by mandatory folic Acid fortification – United States, 1995–2011. MMWR Morbidity and Mortality Weekly Report, 64(1), 1–5. Woods SC, D’Alessio DA, Tso P, Rushing PA, Clegg DJ, Benoit SC, Gotoh K, Liu M, Seeley RJ: Consumption of a high-fat diet alters the homeostatic regulation of energy balance. Physiol Behav. 2004, 83: 573-578. 10.1016/j.physbeh.2004.07.026. Wright JD, Jennedy-Stephenson J, Wang CY, McDowell MA, Johnson CL: Trends in intake of energy and macronutrients- United States, 1971-2000. Morbidity and Mortality Weekly report. 2004, 53: 80-82. Volek JS, Fernandez ML, Feinman RD, Phinney SD: Dietary carbohydrate restriction induces a unique metabolic state positively affecting atherogenic dyslipidemia, fatty acid partitioning, and metabolic syndrome. Prog Lipid Res. 2008, 47: 307-318. 10.1016/j.plipres.2008.02.003. Volek JS, Phinney SD, Forsythe CE, Quann EE, Wood RJ, Puglisi MJ, Kraemer WJ, Bibus DM, Fernandez ML, Feinman RD: Carbohydrate restriction has a more favorable impact on the metabolic syndrome than a low fat diet. Lipids. 2009, 44: 297-309. 10.1007/s11745-008-3274-2. I have been attempting the Keto diet, with my carb intake at 100g a day I have been on the diet for a little over a month now and have gained 2 pounds and have aquired an itch that seems to only get better by eating carbs. I am sensitive to sweets and am insulin resistant. The info in this article is full of half-truths. Diabetes IS reversible, many are doing this now using low-carb, med protein, and higher fat. The so-called recommendations for carbs of 300 + or – is far too high especially for diabetics. What is not being told is that when the liver releases the stored glucose, it often is turned into triglycerides which is what creates the hardening and thickening of the arteries. Also, saturated fats are better for the body than low-fat foods. Better do research before reading this article.